We are still in cool-down mode over here. Ice cream was needed. I knew it was going to be bad when at 7 am it was already over 80 degrees inside. I popped a bowl of strawberries and a peeled banana in the freezer for healthy after-school “ice cream” packed with antioxidants. 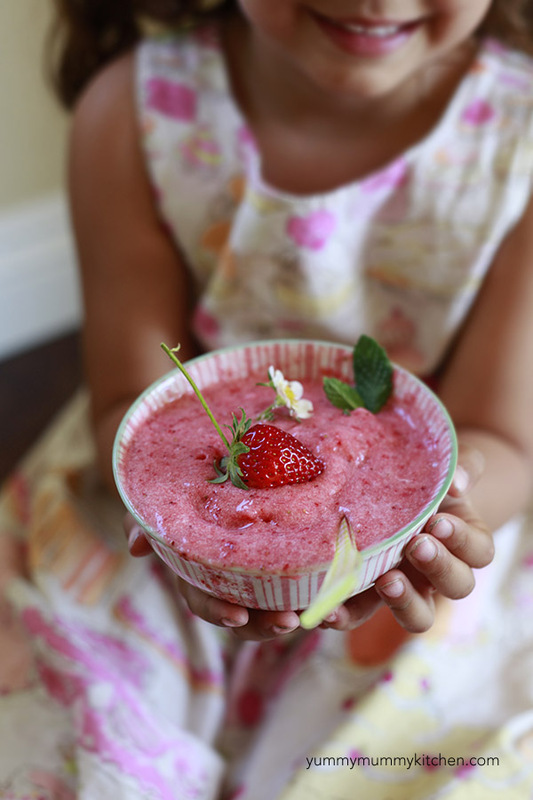 After school we whirled the frozen fruit together in the food processor and had instant ice cream! I wasn’t sure this would go over well with the kids, but they loved it. I added a little whole fat coconut milk for more creaminess. 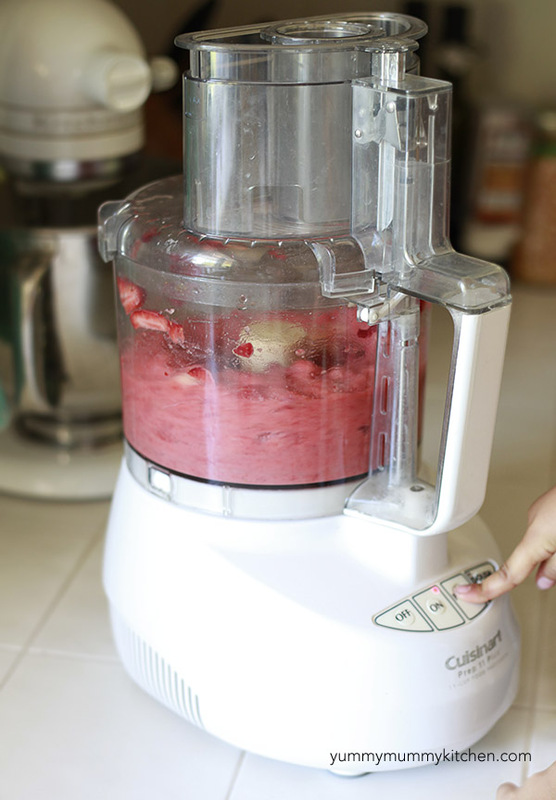 This food processor fruit ice cream is basically a smoothie, just more frozen since there is not any liquid added (unless you add some coconut milk). We’re just going to call it “ice cream” though, okay? 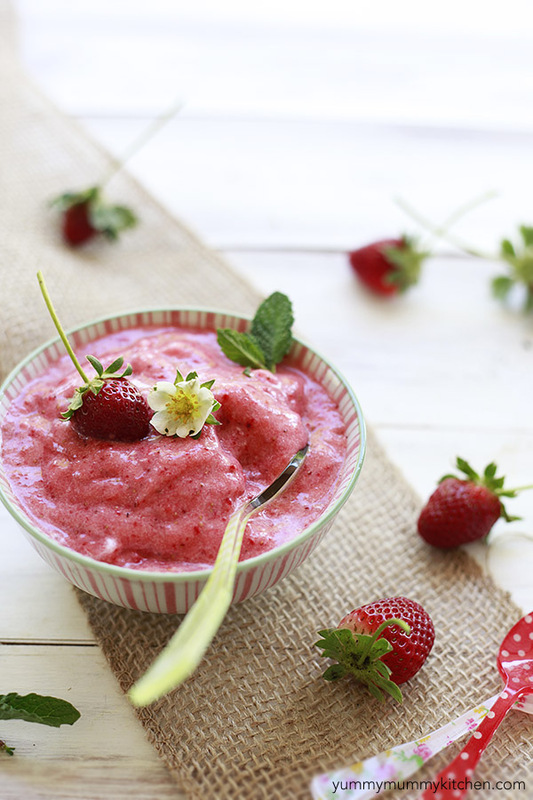 30-second healthy ice cream? I’m sold. You could put your ice cream into the freezer to firm up even more, but why? We devoured ours right away. And it’s so easy to make you can always make more. My happy girl with her quickly melting ice cream. Sure, I could have photoshopped her hands clean. But you know what? She had just plucked this fresh strawberry, strawberry flower, and mint out of the dirt and dirty hands are a part of life on our little homestead. Make this simple treat soon! And feel free to add your favorite fruits, or the fruit you happen to have in your freezer. Just remember that banana helps make this creamy like real ice cream. 1. 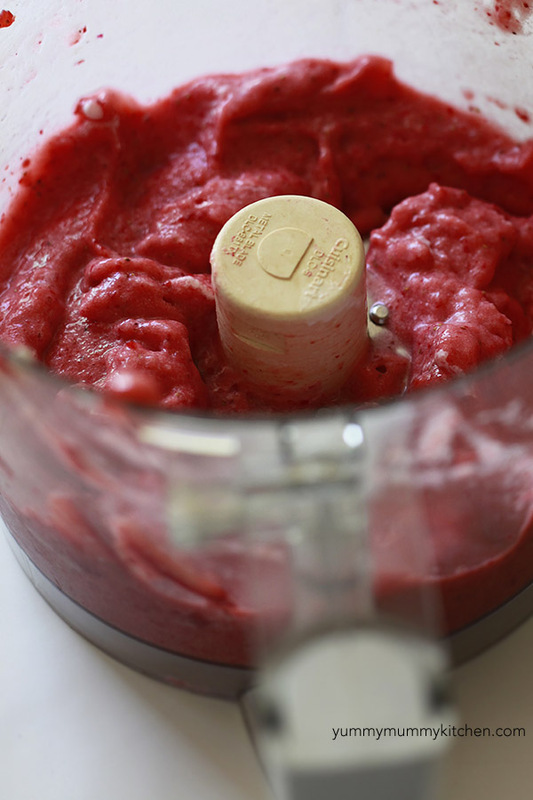 Place frozen banana and strawberries in the bowl of a food processor. Pulse until smooth and creamy. Add coconut milk if desired. 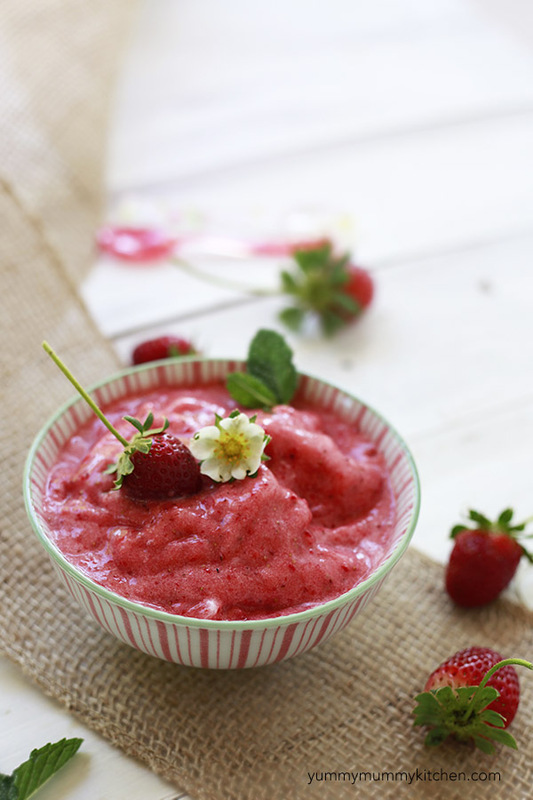 Add stevia to taste if your strawberries are not super sweet.